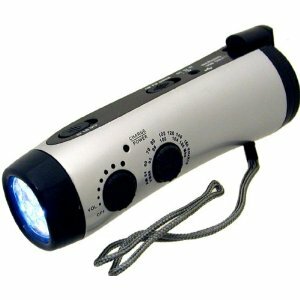 A super bright 5 LED flashlight with a high quality AM/FM radio is a great companion for anyone who might be left in a dark. 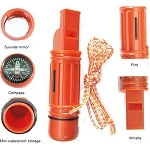 Take it with you on the car or in a pocket, it is a perfect emergency gadget you need. 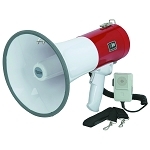 It is built with a siren in the radio , at an emergency situation, this siren may save your life and call for help. The radio is built with rechargeable batteries, you can charge it by cranking the generator, a high quality AC generator, or you can use an AC adaptor to charge it (The adaptor is not included, but the plug-in jack is there). If you have the cellphone tips , you can use this generator to charge your cellphone. ( The tips are not included). Light Control: 1 LED or 5 LED.